With around 90 portfolio companies in Southeast Asia, Silicon Valley-based venture capital fund 500 Startups has emerged as the top tech investor in the region by a substantial margin, according to data provided by CB Insights. Thailand and China are discussing the feasibility of positioning Thailand as China’s gateway to CLMV countries. Malaysia is expected to achieve the target of becoming a smoke-free nation by 2045 following strategic implementation of anti-smoking initiatives boosted through joint cooperation with other Asean countries. 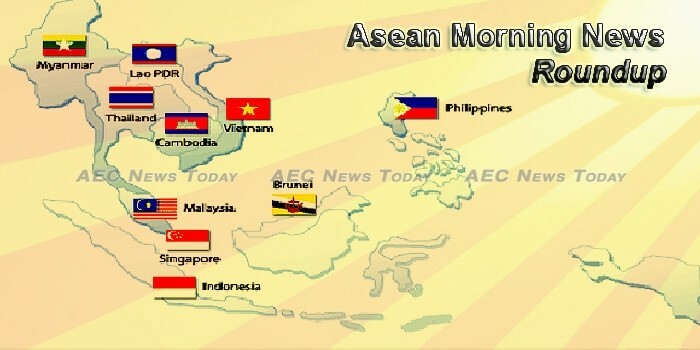 The Association of Southeast Asian Nations, which unites 10 Southeast Asian countries, needs to make stronger efforts to address geopolitical rivalry, transnational organized crime and social inequality, Foreign Minister Retno Marsudi said on Wednesday (19/07). After the U.S. withdrawal from the Trans-Pacific Partnership (TPP), the Regional Comprehensive Economic Partnership (RCEP) is considered by Vietnam as an alternative choice, and its negotiations are expected to be wrapped up by the end of this year, opening up significant opportunities for many economies. ASEAN should play a bigger role in reining in North Korea by cracking down on its illicit trade and activities in their countries, experts said Thursday. The ASEAN Economic Community (AEC) can be a major catalyst for national growth, but few Vietnamese businesses have grasped the concept and its importance, officials and experts said at a seminar on Wednesday. Nearly a year after the government announced that it would consider scrapping the controversial and burdensome 1 percent minimum tax obligation that is paid on monthly revenue flows, the Ministry of Economy and Finance has provided guidelines on how taxpayers who satisfy its accounting guidelines can obtain an exemption. Halfway into the year, the Asian Development Bank has raised the estimated GDP growth rate for developing countries in Asia this year and next by a few tenths of a percentage point. Global Fund will provide $98 million to fight malaria, tuberculosis and AIDs from 2018 to 2020, an official said on Thursday, with the donor seemingly banking on improved oversight to prevent alleged government fraud and nepotism it described as recently as March. The Ministry of Energy and Mineral Resources exempts oil and gas exploration taxes for those who want to invest in Indonesia. The Tax Directorate General (Tax DG) at the Finance Ministry said that the tax compliance in Indonesia remains lower than other ASEAN countries. The drama started nearly two years ago, when Setya Novanto, the speaker of the Indonesian Parliament, was forced to resign after being caught trying to extort U.S. mining giant Freeport McMoRan, which was looking to extend its contract in Indonesia. Laos has huge potential in developing tourism sites, with a number of incentives introduced to boost investment in the sector. Lao labour market still faces the challenge of substandard labour skills, making labour fail to meet market demand in the country. The government is pushing for increased revenue collection to cope with budgetary expenditure and minimise the country’s budgetary tensions and rising debts. Malaysia-based property development group Aspen Holdings Limited – which develops affordable residential and mixed development properties for middle-income mass market purchasers – has launched its initial public offer (IPO) on the Catalist board of the SGX, targeting to raise S$36.72 million ($26.8 million). Voters are five times more concerned about bread-and butter-issues than corruption scandals such as 1MDB, a survey by PKR-linked Invoke has found. Could US reset sanctions on Myanmar over North Korea? If Kyaw Zeya, Myanmar’s Ministry of Foreign Affairs permanent secretary, is to be believed, then strategic ties between his country and North Korea are completely severed after years of robust cooperation under military rule. Border trade with Thailand exceeds US$318 million until July 7 of this fiscal year, according to Ministry of Commerce. The Myanmar Investment Commission (MIC) could achieve or even exceed its US$6 billion foreign direct investment target for 2017-18. The Asian Development Bank has raised its gross domestic product (GDP) growth forecasts for the Philippines for this year and next year, with the country expected to lead economic expansion among emerging Asean economies. Following news of the rescue of a Singaporean woman kidnapped at a Manila casino, those who travel often to the Philippine capital say they will stay extra vigilant when they are there. PROPERTY market sentiment continues to improve, going by the latest reading of the quarterly sentiment index published by the developers’ body and the National University of Singapore (NUS). Despite being “digital natives”, youths here are not as well-equipped for the digital economy as they think: A study has found that Singaporean tertiary students overestimate their level of proficiency in digital literacy skills, including in word processing and spreadsheets. Thailand’s customs-cleared exports rose for a fourth straight month in June, beating expectations, due to stronger demand from major markets, suggesting the trade-dependent economy was gaining momentum. The new excise tax rates for vehicles, non-alcohol beverages, batteries and crystal glass will be announced before Sept 16 when the new law comes into effect, says an official at the Excise Department. Vietnam’s economy is likely to grow by only 6 percent this year, HSBC said in a new report released on Wednesday, revising down its previous forecast of 6.4 percent. As Thaco’s car sales decreased, the Quang Nam province’s budget revenue suddenly dropped by VND3 trillion. This news has been cited by economists to show the role of large private conglomerates in the economy. Ho Chi Minh City’s index of industrial production (IIP) in the first six months of this year increased 7.51 percent compared to the same period last year, reported the municipal Department of Industry and Trade at a conference on July 19.